1. 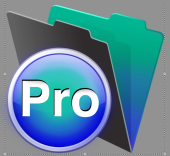 You can create an alternative icon for FileMaker 13. When you have multiple FileMaker versions installed, it sometimes is difficult to distinguish between them. FM12 and FM13 have virtually identical icons with the same color schemes. Here are alternative icons that can be installed, for both Win and Mac from HomeBase Software. HomeBase has a ton of of technical information on their web site. 4. Modular FileMaker: is shared library of FileMaker functions. There are huge community-developed libraries for other languages such as PHP and Python. These folks are attempting a similar idea for FM. I’ve downloaded their JSON module, and am experimenting with it. Other examples include a nifty SQL query generator, and and another interface to Mailchimp. Custom Functions are a way of adding small chunks of user-defined code that can be called within a FileMaker script. Brian Dunning is the guru here and curates the largest library of custom FM functions on the web. He also has sample data sets available for the U.S., Austria, Canada, and the UK. Five hundred records are free, and a million records are available for ten bucks. 6. What percentage of public school students are eligible for free or reduced lunch in your state? It is 38% in mine. Poking around in some other states, it looks like that isn’t unusual; in many states it is 40-60% or more. The lunch program is often considered a proxy for the family poverty rate. But maybe that’s another discussion. This entry was posted in Uncategorized and tagged Education, FileMaker, http://schemas.google.com/blogger/2008/kind#post, Programming, Resources, Workflow on August 7, 2014 by lkeyes70.